Gas prices in South Central Ohio are seven cents more expensive this week at $2.138 per gallon, according to AAA East Central’s Gas Price Report. Most of the Great Lakes and Central states are paying more to fill up on the week, with gas prices fluctuating from $1.91 to $2.15 in the region. Ohio (+10 cents) saw the biggest week-over-week change, with a state average of $2.06. Gasoline stocks in the region sit at their largest level since 2016, a total of 61.2 million barrels. According to the Energy Information Administration (EIA), that is a 6.1-million-barrel year-over-year surplus. 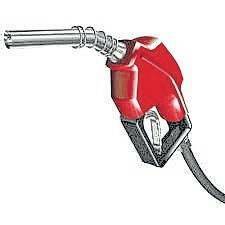 Many motorists filling up across the country are noticing gas prices that are increasing slightly. However, while nearly 25 states’ averages increased on the week, the national average is only a penny more than a week ago at $2.26. The fluctuating national and state gas price averages come alongside an increase in gasoline demand and reflect the higher crude oil prices as of late. High stocks of gasoline and colder-than-normal weather forecasted for much of the Midwest and East Coast are likely to keep gasoline prices steady over the week. At the close of Friday’s formal trading session on the NYMEX, West Texas Intermediate increased 56 cents to settle at $53.69. Overall, crude prices fell slightly last week after new EIA data showed that domestic crude oil inventories grew by an astonishing 8 million barrels last week. At 445 million, the current crude inventory level is approximately 33 million barrels higher than at this time last year.